Looking purely at run tallies, their inclusions were a no-brainer: the pair have scored the most runs at Shield level in the last three seasons. And while national selection is more nuanced than pure stats, Australian cricket is at a point where objectivity should trump subjectivity. ‘Hunch’ picks, as we’ve seen recently, have a history of failure. Patterson also holds another pleasing record over the last three seasons, having comfortably faced the most deliveries of any player. He’s faced 250 more than the next best in Marnus Labuschagne. Occupying the crease, the most indifferent fan will even tell you, has been an issue in Australian cricket for some time. In Patterson we get a proven player against the new ball, who has as good a grasp of his off-stump as any player in Australia. In Burns we get a proven run scorer who has responded to numerous Test omissions with more runs – the only currency we’re told matters. As such, now more than ever is a time where selectors must give Burns and Patterson an extended run at things. ‘Pick and stick’ has been asked of the selectors for some time, and for good reason. If a player is deemed good enough to be selected for Test cricket, they should be given assurances of an extended opportunity in spite of low early returns. Not an endless supply of chances, but a pledge that a batters’ worth extends beyond a few low scores. Runs on the board, in both a cricketing and figurative sense, should count for something. 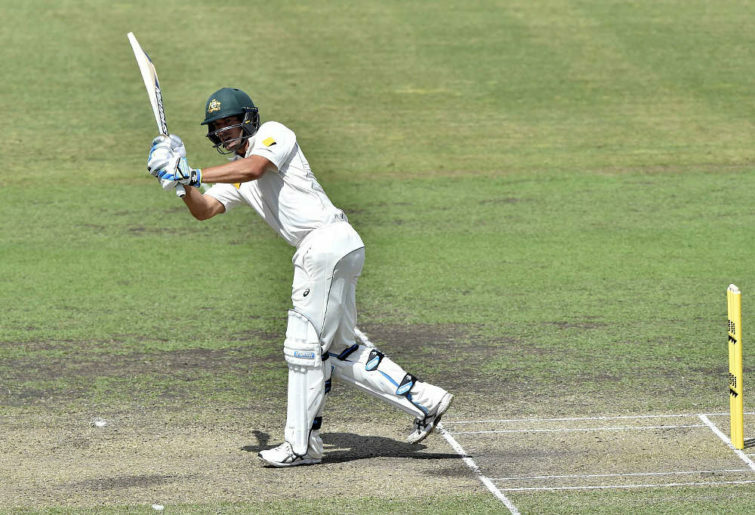 Too often have the selectors veered from one policy to the next, to the point where players – Glenn Maxwell and Matthew Wade perhaps especially – are confused by what is required for a call-up. Peter Handscomb’s treatment from the selectors this summer, for instance, was the antithesis of pick-and-stick. Shaun Marsh, others would argue, was a healthy beneficiary of it. Like anything, a balance needs to be sought, but most would agree that balance is yet to be found. While there are examples of players performing when their position is on the line, there are countless cases where undue pressure (either overt or implicit) from selectors leads to failure. Batsmen at the elite level, we’re told, perform best when they’re not overthinking things. Strolling to the middle knowing the next innings could be your last is an exceedingly difficult working environment. Labuschagne’s selection over Will Pucovski is, for many fans, disappointing. After an enduring summer where losses have taken their toll, a two-test series Sri Lanka has done little to pique the public interest. Pucovski’s impending selection, however, had allayed indifference. A 20-year-old with an almost fabled ‘appetite’ for runs at junior and now senior level, his presence would have been arguably the most interesting aspect of day-night Test in Brisbane. As it is, however, selectors opted to retain Labuschagne who showed promising signs during his SCG innings against India. While Pucovski’s absence is frustrating for those keen to see the young Victorian on the international stage, the selectors’ decision to refrain from another hasty switch is pleasing. With one eye on the Ashes series later this year, whether the selectors ‘stick’ with Burns and Patterson when Steve Smith and David Warner return to the squad is unknown. Irrespective of whether they’ll be squeezed out, enduring presences in the squad are important. It’s unlikely a team as mediocre as Australia would go through an entire UK series without changes to its top-six, thus Burns and Patterson – regardless of whether they’re selected for the first Test on August 1 – should theoretically play an important role throughout the series, be that in the XI or as back-up. Naturally, Australia needs players who can step in and do a job at the highest level. With over seven years experience apiece at first-class level, Burns and Patterson are two of the best options it currently has to succeed going forward.